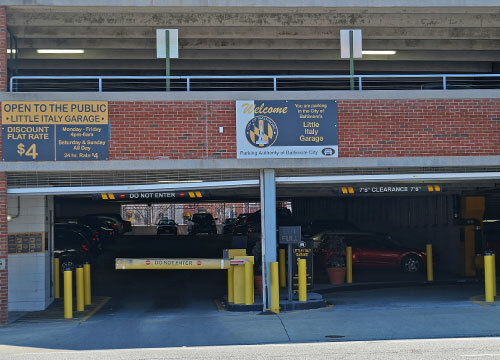 The Little Italy Garage is located in Baltimore’s charming and cozy neighborhood of Little Italy and just blocks away from Harbor East and the Inner Harbor. Enjoy the neighborhood’s vibrant restaurants, outdoor movies, and Italian festivals. 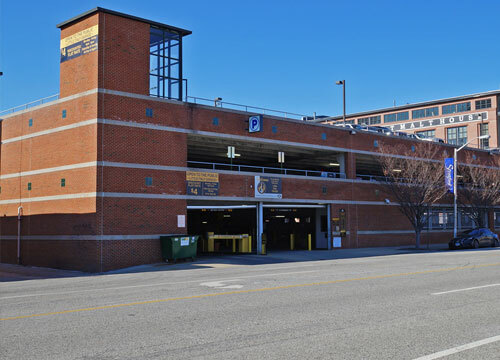 Garage entrance is located on S. Central Ave, just north of Eastern Ave. 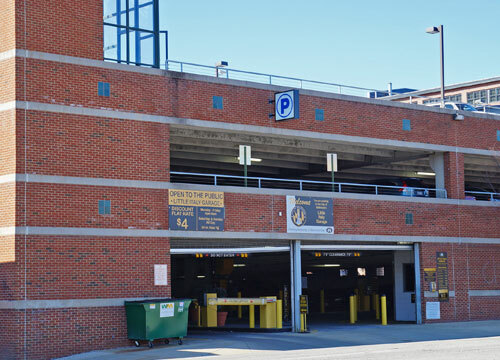 The garage is open and staffed 6:00 AM – 3:00 AM, 7 days a week and has a height restriction of 7.6 ft.